I run into the same mistakes, or oversights time after time. It’s because of this that I’ve put together a list of the 9 most common GA issues and oversights that I see, as well as recommendations and tips. First thing’s first, you need to set up your Google Analytics account. If you have separate websites, I highly recommend setting up separate properties for each, as well as a few views. My rule of thumb is one GA tracking ID per website. You should always have one of the view of your site’s unfiltered data, along with other views that are filtered to your needs. Along with an unfiltered view, I recommend setting up an additional view that filters out your internal IP address, as well as your vendor’s IP addresses. Using Regular Expression Language (RegEx) you can add multiple IP addresses at once, separating them with a pipe | to divide. Filters can also be used to filter our spam or bot traffic. Create and implement filters under the admin tab, at the view level. One of the most overlooked GA feature is internal site search – mostly because people forget to turn it on when they set up their account. Site search lets you take advantage of your site’s search function (if there is one). You’ll be able to see which terms were searched, and how often the search feature is being used. Under Admin, go to view settings, and toggle site search on. Once you’ve toggled that on, enter the query parameters used on your site so GA can identify users’ search queries. Note: site search is only available for websites with a search bar. It would surprise you how many people forget to set up goals. Goals represent a “conversion”, this will depend on your business objectives. Most commonly I’ve seen people set up goals for PDF downloads, button clicks and/or form fills. You can set up goals based on a destination, event, duration or pages/screens per session. Goal set up can be found in the admin section of GA. Content grouping, is a Google Analytic’s feature that does exactly what it sounds like – it lets you group content based on your company’s needs. These groupings are particularly useful if you have a large site. For example, you can group content by vertical, blog sections or product. But don’t fret, you’ll still be able to drill down to the individual page level, but this also gives you the benefit of comparing groups. Another overlooked feature, is event tracking. Event tracking is a great way to learn even more about your site visitor, and their actions, for example: a button click, navigation item clicked, PDF downloaded, and more. Instead of hard coding event tracking into your site, I recommend setting up event tracking through Google Tag Manager (GTM). Setting events up in GTM gives you more control because after the container is implemented, you can change events, and manage your tags, without the help of a developer. This blog is about Google Analytics, but while I’m at it, and while you’re busy setting up your GA account, I highly recommend going ahead, and setting up Google Tag Manager, and Search Console. As mentioned above, GTM is fantastic to use for event tracking. Additionally, it is easy to use, has handy debugging features, allows for collaboration within your organization, has many pre-built tags, and functions extremely well with Google Analytics. With Search Console you can manage which content is crawled and indexed, monitor your site’s health, determines which queries your site appeared for and which queries drove traffic to your site, as well as much more. Since I was introduced to annotations, albeit simple, they are one of my favorite features in Google Analytics. Annotations are little comments you can add (either publicly, or shared) directly into your account. Annotations are marketers dreams, because who really has time to remember the exact day a campaign launched, an email went out or optimizations were made. Annotations are particularly handy for reports. I’m typically use them so I’m able to go back and see when I optimized something, and then compare it to the previous period. Or if something declined year over year, I can look back and see if something specific impacted traffic. 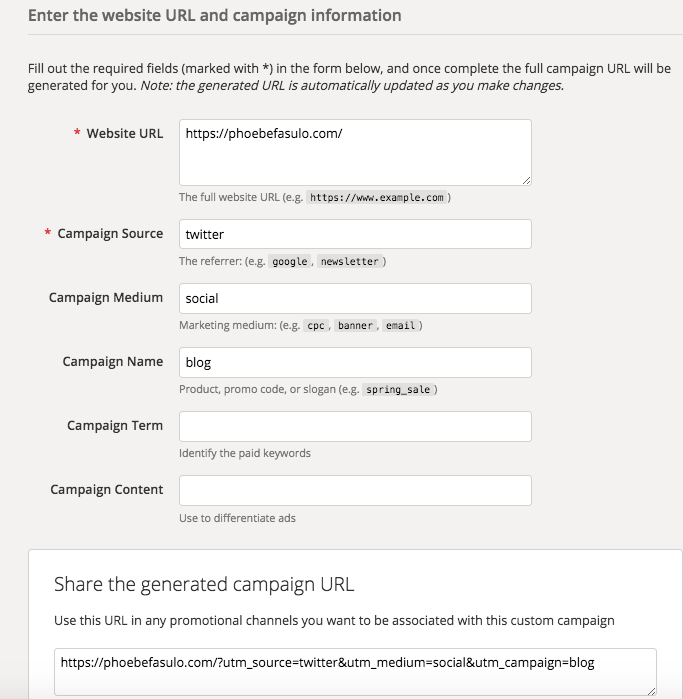 UTM tracking let’s you add campaign parameters to individual URLs so you can track your campaigns within GA. 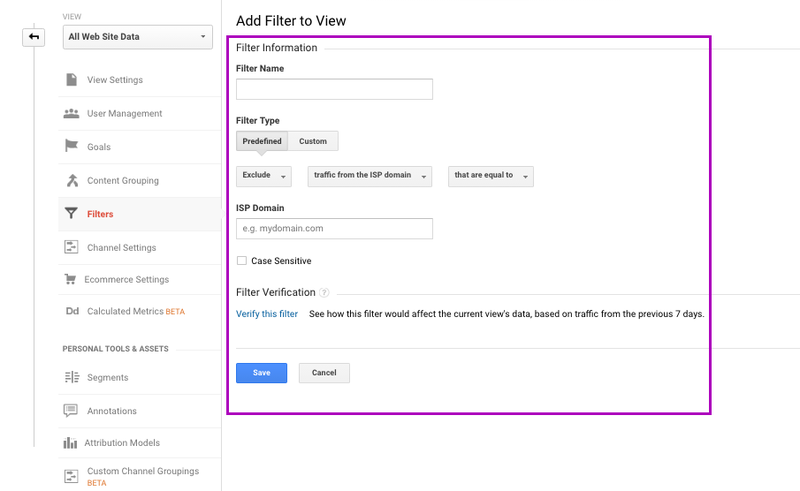 The parameters (when implemented correctly) properly attribute campaigns in your Google Analytics account, I recommend using Google’s Campaign URL Builder (shown below). Within the URL builder you’ll need to supply the website URL, campaign source (facebook, google, twitter), medium (referral, social, email) and a campaign name. This is just the beginning, and there are many more features to explore and utilize. 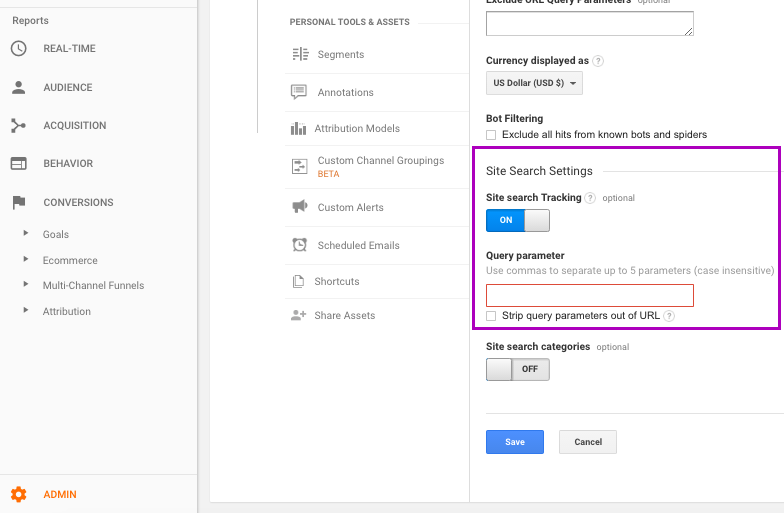 So dive in, explore and read up in Google’s help center to get the most out of your Google Analytics account(s). Previous PostPrevious Confused by Accelerated Mobile Pages (AMP)? Next PostNext How Do You Do a Competitive Digital Marketing Analysis?